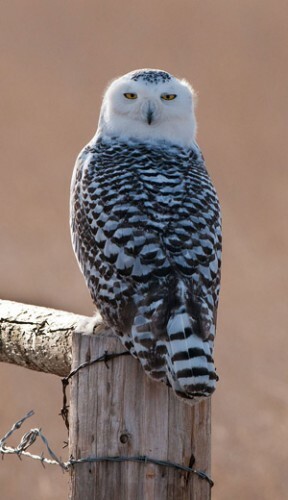 Snowy Owls /Hawks Aloft Inc.
High numbers of Snowy Owls are being reported throughout the upper U.S. this winter. This irruption, not to be confused with an eruption, is not thought to be caused by a lack of food. Rather, an abundance of lemmings, one of the primary prey for the Snowy Owl in Arctic regions, led to the production of a bumper crop of young owls in the summer of 2011. These owls, not as skilled at hunting as their parents, have flown south in high numbers in search of winter food. Two of our members traveled to parts north to photograph Snowies, David Powell to Montana, and Doug Brown to Washington. We thank them both for sharing their images of Snowy Owls. Watch for a blog post about Gail and Sam Sanborn’s successful northerly owl quest. Time Magazine: Hedwig, Is That You? 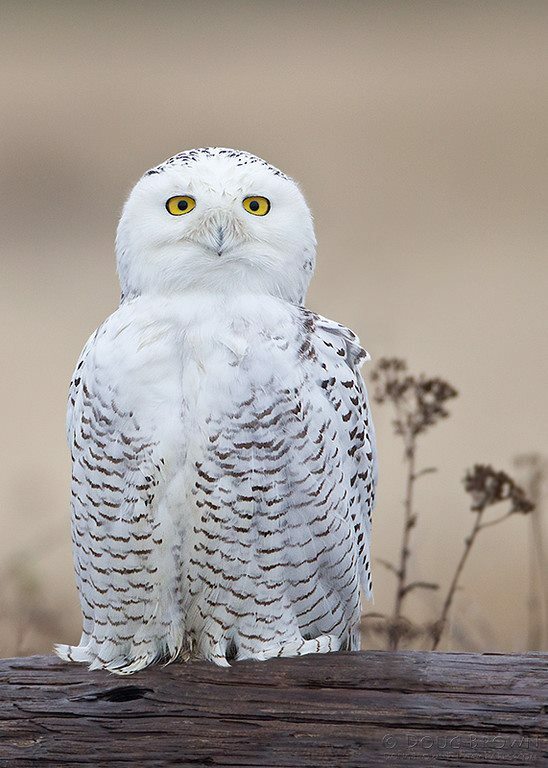 Snowy Owls Apparate into the U.S.